"" Writer's Wanderings: Be Careful What You Say With Your Hands! Gestures are something most of us are familiar with. We use them all the time and often unconsciously. They are second nature. Want someone to come to you? Crook a finger and motion to them. Order two drinks? Hold up two fingers in a V. See a cute kid? Pat them on the head. Unfortunately a lot of these gestures in another country could get you in trouble or at least make you seem very rude. Buddhists believe the spirit lives in the head thereby making it the most sacred part of the body. Touching it is demeaning to that person and frowned upon. Don't pat the head of a child in Thailand. Believe it or not in countries like the UK, Australia, New Zealand, and Ireland, ordering two drinks with your fingers in a V and your palm pointed toward you could signal trouble. It's the equivalent of our middle finger raised. 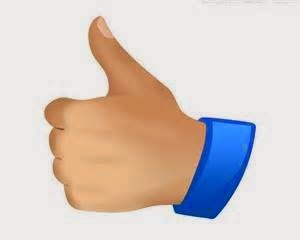 Thumbs up in Afghanistan, Iran, and parts of Italy and Greece is not a good message. Wonder how you hitchhike in those countries? The okay sign, thumb touching index finger, is far from okay in France, Turkey, Venezuela, and Brazil. In fact, it's quite vulgar. Crooking a finger to motion "come here" is only used for dogs in the Philippines and in Singapore and Japan it signifies the icy finger of death beckoning. Hopefully if you are travelling and you use the wrong gesture the locals will just shrug and say, "Tourists!" and gesture to you. Of course we might not know what's behind the gesture. Sometimes ignorance is bliss. Unfortunately, you don't have to be a tourist to make this sort of mistake! My next door neighbor moved here from Venezuela about 2 months ago and last week, I was trying to communicate with her through the van window that there was enough room between our cars and I signed OK with my fingers. I was wondering if that was a mistake! OOPS!